Mahara is an open-source ePortfolio web platform. As Mahara official website states: “Mahara is a fully featured web application to build your electronic portfolio. You can create journals, upload files, embed social media resources from the web and collaborate with other users in groups”. 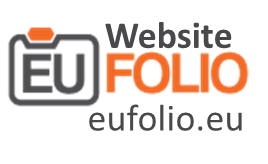 In the EUfolio project, the Mahara platform was private and allowed users to create webpages and journals, upload files, embed web 2.0. tools, engage in discussion forums, create groups and develop an electronic portfolio with users’ accomplishments and achievements. Mahara platform was used in the majority of the EUfolio pilot implementations. Apart from the existing Mahara user manual provided, officially, by Mahara developers, EUfolio project developed additional material in order to train EUfolio teachers as shown in the table below.